We have a fleet of luxury coaches and mini buses for charter providing transport solutions for all sorts of groups. Our vehicles range from 13 - 53 seats and our experienced and enthusiastic drivers and office staff will ensure your requirements are met with outstanding professionalism and courtesy. We are happy to provide transport only or you can call on our experience to help you design a fabulous day / event / tour! 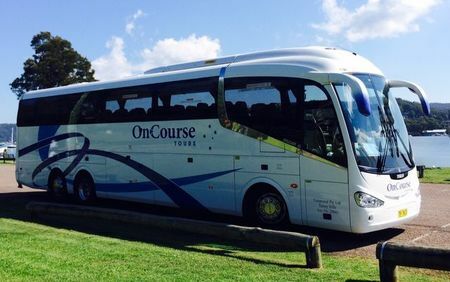 Call Kerry on 9986 2400 or email kerry@oncoursetours.com for a quote.